When war clouds were rumbling over Europe in 1938, Britain was urged to form the Civil Defence throughout the country. Marden was in the group centred in Maidstone, under Col. Scott of Bridge House, Marden. Some 25-30 people not of military age joined the ARP. First Aid courses by St John’s Ambulance were attended and certificates were awarded. This section, known as the Rescue Party were called out many times, including to RAF West Malling and, of course, the Marden bombing tragedy in the Maidstone Road. 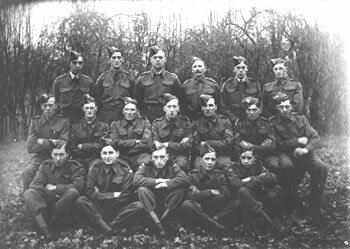 Another body was formed called the Local Defence Volunteers (LDV), later the Home Guard; also the National Fire Service (NFS) and the Special Police. The headquarters were in Tippen’s Office now Tomkinson’s Yard and the siren was erected on a high building. When war was declared on September 3rd 1939 a new post was started – manning the siren. If an air raid was imminent a call from Maidstone was received AIR RAID WARNING RED and the wailing siren was sounded for 2 minutes. After the raid a further call AIR RAID MESSAGE GREEN came and the all clear was sounded for 2 minutes. This post was operated in day time by ladies in 2 hour shifts. Men took over in the hours of darkness. The Marden History Group have plans to re-erect the original post, with a siren donated by the Army, on a site next to the Heritage Centre, to restore this important part of our heritage.